Banana bread is one of those things like chocolate chip cookies and pot roast. Everyone thinks theirs (or their mother's or their grandmother's) is the best. I don't exactly have one banana bread recipe, I'm always trying different kinds, some with nuts, some with chocolate, some made with yogurt or sour cream, some with butter or oil. But from all of my experiments, I can tell you that there is one thing you can do, in any recipe, to make it better. It has to do with very ripe bananas. I know, I know, of course you use ripe bananas. In many ways, the entire purpose of banana bread to prevent wasting fruit that is past its prime. 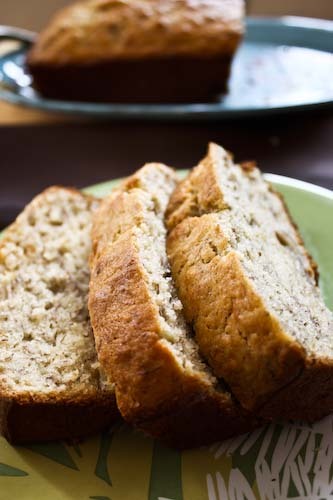 But the way to get the best possible banana bread is to use really ripe bananas. I don't want to say rotten, because that would be gross, but I suppose in a way that's what I actually mean. I normally allow my bananas to ripen for 10 days before I deem them ready. They're not ready when they have only a few brown spots speckled along the yellow peel. They're not ready until they have reached a deep shade of midnight and the odor of banana is so strong you can smell it without peeling at all. When you do finally peel them, the banana itself should be a slimy, sticky, pungent mess. Of course, there is a fine line here between just right and too much, but I'm telling you that if you want your bananas to develop maximum flavor, and to add moistness rather than sap it, you must wait until they themselves are pungent and, well, goopy. I would have taken pictures of what I mean, I probably should have, but I didn't want to display rotting food on my blog. And anyway, I'm still giving you a time frame. Just try. Try buying 4 bananas and leaving them on your counter for 10 days. Just see what happens and the level of "maturation" I'm talking about. I promise it will take your banana bread to the next level. The recipe I used this time comes from The Foster's Market Cookbook and was originally designed to produce 2 loaves. I only wanted one, so I cut everything in half. Here's the recipe as I made it, yields 1 loaf. Combine the dry ingredients and stir. Cream together the butter and sugar until blended, add the beaten egg slowly while you continue to beat and finally add the bananas and vanilla and stir to combine. Slowly add the dry ingredients to the wet, stirring only enough to combine. Be careful not to overmix or your bread with be tough. Fold in the walnuts. Pour the batter into your prepared pan and bake for between 1 hour and 1:15 until it passes the toothpick test and the bread is brown and a bit cracked on top. Let the bread rest for 10-15 minutes before taking it out of the pan. Hi Snooky Doodle! I'm not sure the cause of gummy banana bread. 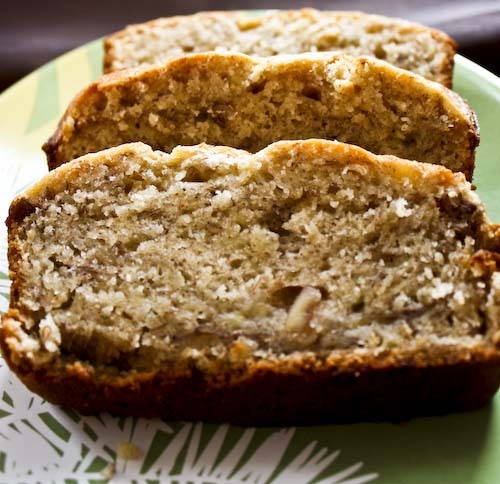 Having super ripe bananas may not solve it, but they will up the flavor! I could never make enough banana bread. We gobble it up so quickly! I agree about the quasi-rotten bananas. I actually took a picture once to post on the blog, but decided they looked nasty. I get grossed out by the smell after awhile, so I let them sit in the fridge when they get to that point. Thanks for the tip, I love banana bread so will try this out next time. One thing I found makes a huge improvement to banana bread is adding lemon zest, try it you'll be surprised how much of an improvement it makes. Totally agree on the overly ripe banana technique and don't really consider it to be much of a secret. Firm bananas cut down on the bread's moisture. For this purpose, carbs in bananas become desirable sugers when exposed to average temps and conditions. 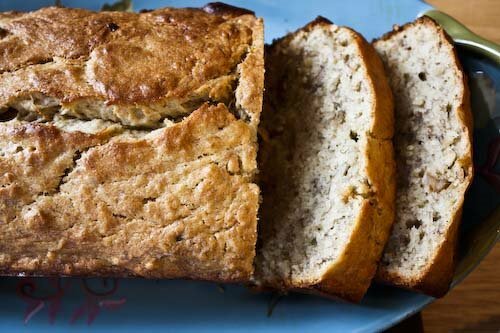 On the occasions that I want to make banana bread and the bananas happen to be perfectly overly-ripe but I cannot get around to making the bread just yet, I simply freeze them until I can get around to making the bread. If colorization is not an issue, may I add that very ripes are also great for smoothies. Real maple syrup is another additive to the bread that deserves consideration. Oh, that is so true about everyone having their own "best" recipe! And now I know: the stinkier the bananas, the better. Great post! Hayley, I totally agree, I actually much prefer bananas a bit under ripe if I'm going to eat them out of hand! Sam, yes!! Lemon zest! Why didn't I think of that? 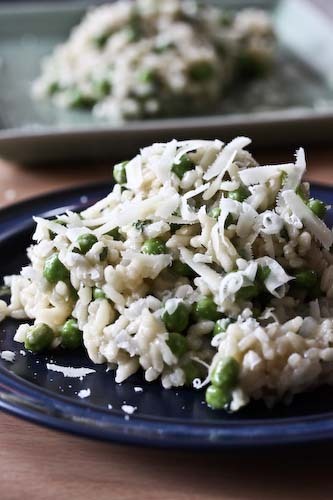 I love lemon zest in pretty much everything, so you can be sure it's going in next time. Alexa, I have a hard time believing your breads come out anything less than spectacular based on the other food on your blog. But if that's true, give this recipe a try. It's a good one! Jerry, thanks for the scientific bases behind rotten bananas! While it may not be much of a secret, it's not something I was aware of until quite recently. I always let my bananas get over ripe, but I only in the last year did I let them get to that seriously gone stage. Maple syrup sounds sinful, and we're lucky in this part of the country to have such easy access to the good stuff. I'll definitely give that a try as well! Trisha, those kinds of foods are the best because everyone has advice on them. There's always room for exploration! Andrea, thank you for stopping by my chocolae blog and the compliments to my daughter. You are so sweet. OMG, I love banana bread. I learned how to make it from my mother. But I like the tip you gave about letting the bananas get "very ripe" before using them. Thank you. It looks very dense. I wish I could make my own bread. This looks great! I have these 10-day matured bananas on my counter right now!!! I'll have to make this! Thanks for leaving me a note! I heart banana bread. You really can't go wrong no matter what recipe you're using. Heh you're right. I have one ultimate banana bread recipe that I think is the best ever (like everyone else! ), and I always try to use the ripest bananas possible. That is exactly how ripe I let my bananas get for banana bread. If I don't use the bananas when they get to that stage I throw them in the freezer just waiting for the next banana bread. You know what? I'm really enjoying your writing. It's become very rare for me to enjoy the writing on many food blogs. I tend to glaze over the recipes and photos if I'm to be completely honest. So yes, hooray for banana bread but a big pat on the back for pleasant blog posts. Always the best and healthy!Banana bread!best in breakfast! Well, my 12 day "matured banana" bread tasted like(for my taste that is) exactly what it was - rotting banana bread - LOL ! Never again ! Snooky doodle said hers was gummy the last time she made one - this one was just too soft for me - i like it firm-ish gummy. I had planned on making Banana Bread French Toast with it, but after 2 bites ( 1 end and 1 middle ) it went into the round file. Next time - 6 day old bananas for me. I have to admit that I usually buy my bananas pretty green, something I should have mentioned when I gave the figure of 10 days. I mean, there is a point at which they become rotten, which is what it sounds like happened to you. Things I look for include an all-black peel, and a very strong scent of banana, but not one that smells like rotting or somewhat alcoholic.